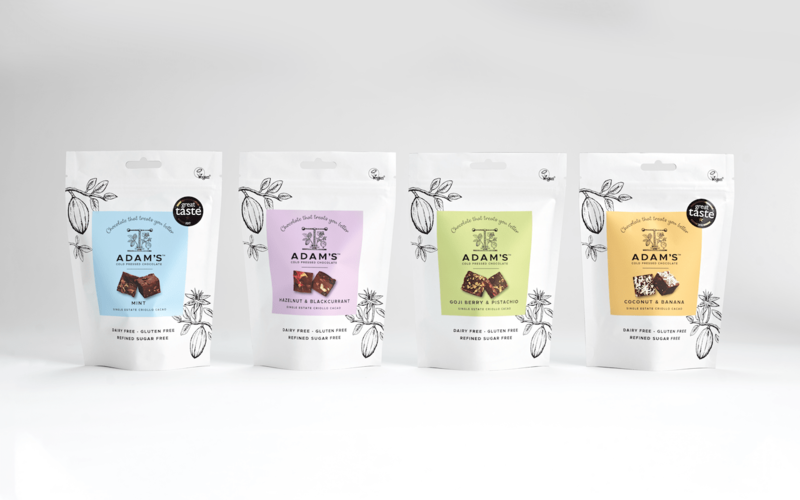 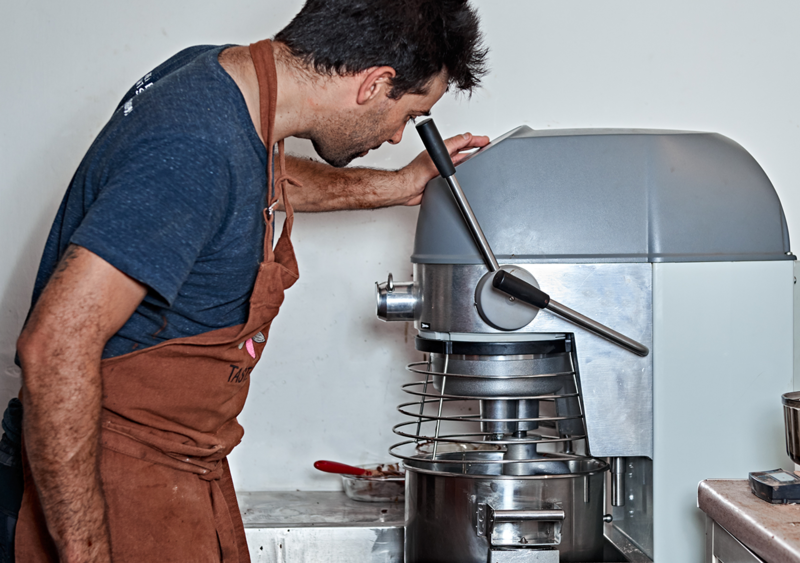 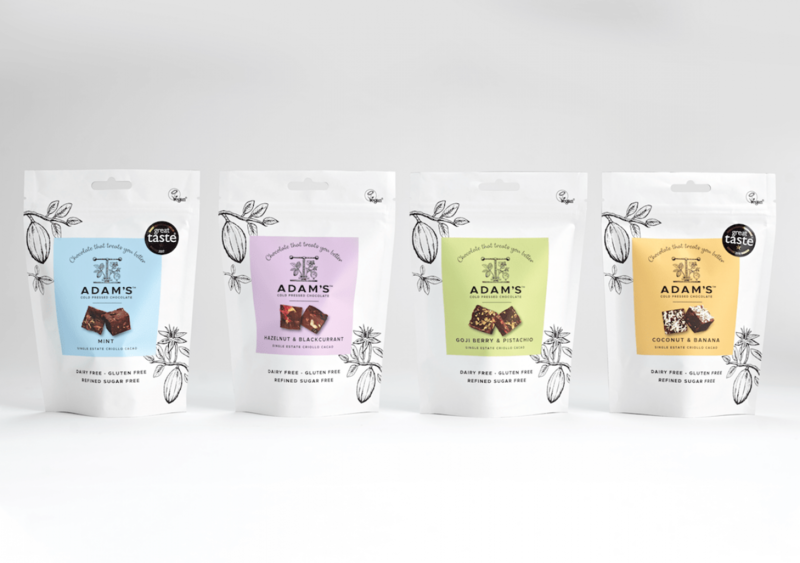 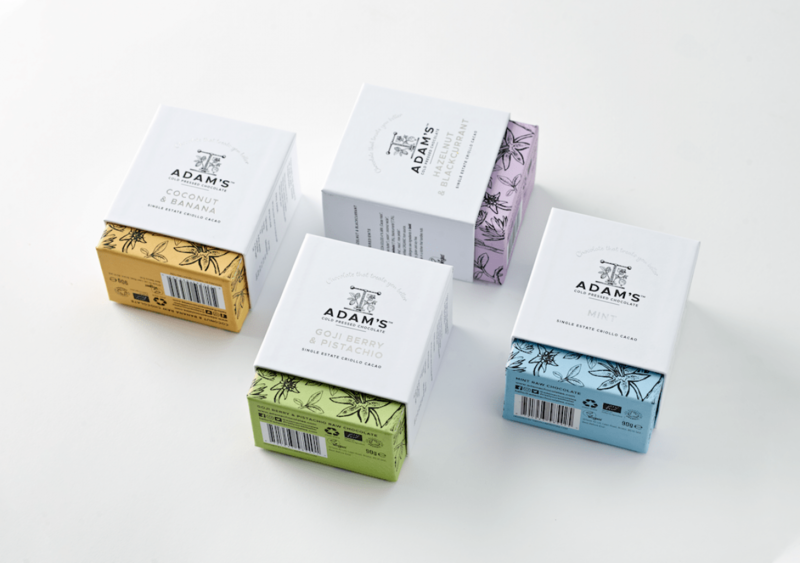 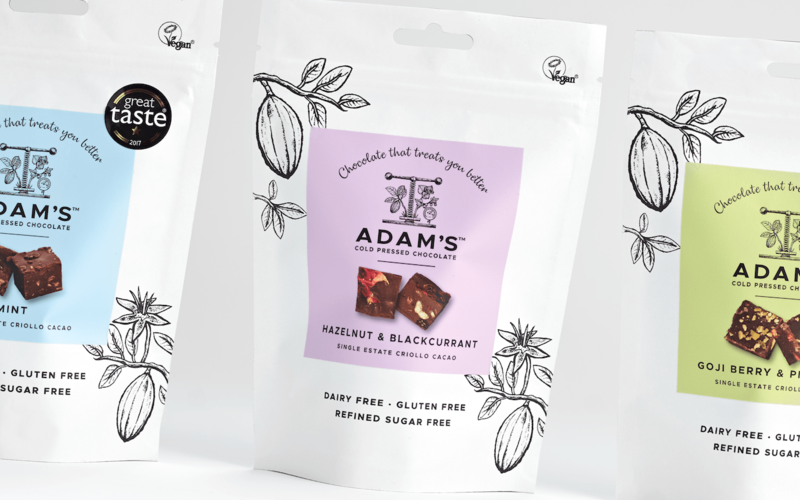 Impressed by their motivation, ingenuity and originality, we chose Adam’s Raw Chocolate as our Seed Fund winners in 2016. 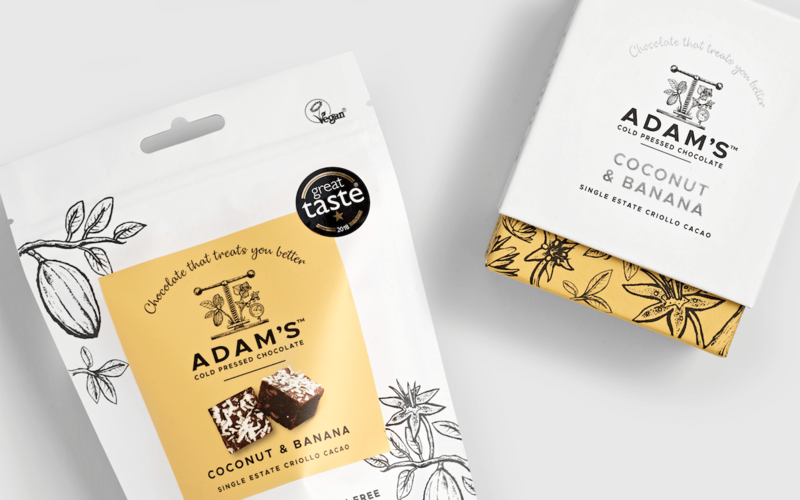 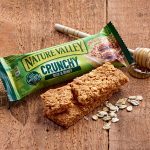 Bristol based founders Adam and Mark, had created an amazing tasting product with raw, exotic ingredients that they were passionate about sharing with the world. 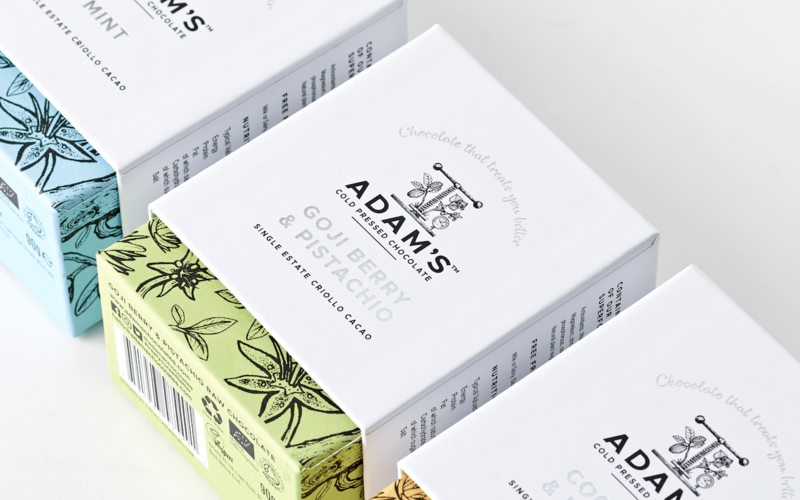 Organic, cold-pressed and finely crafted, we developed a sophisticated brand that would support a premium price tag. 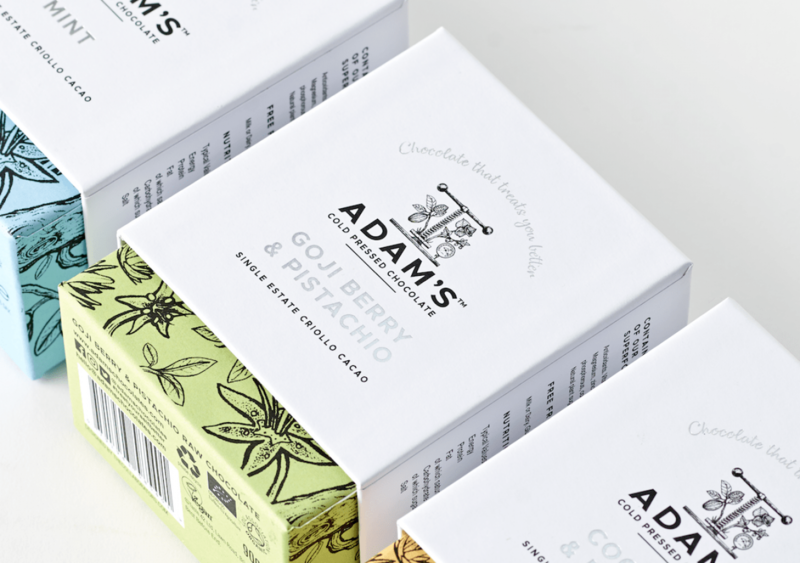 Our design was based around an antique press with the rare Criollo tree growing lushly from one side and ingredients specific to each flavour sprouting from the other. 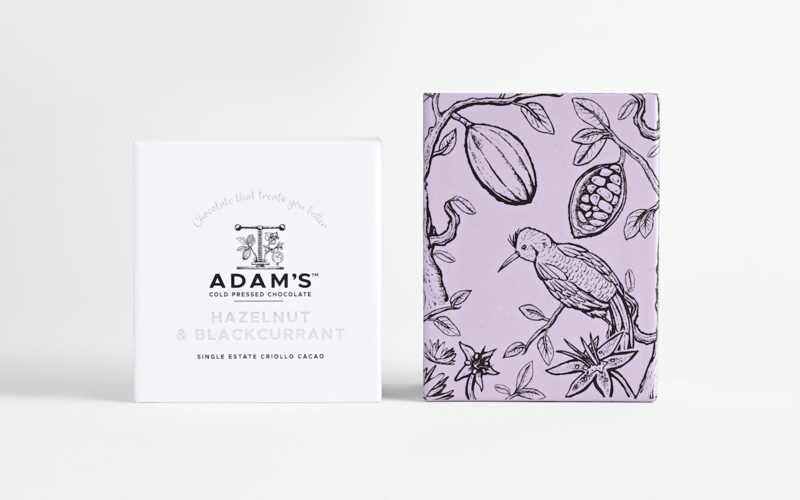 Hand-etched illustrations were created by us in-house. 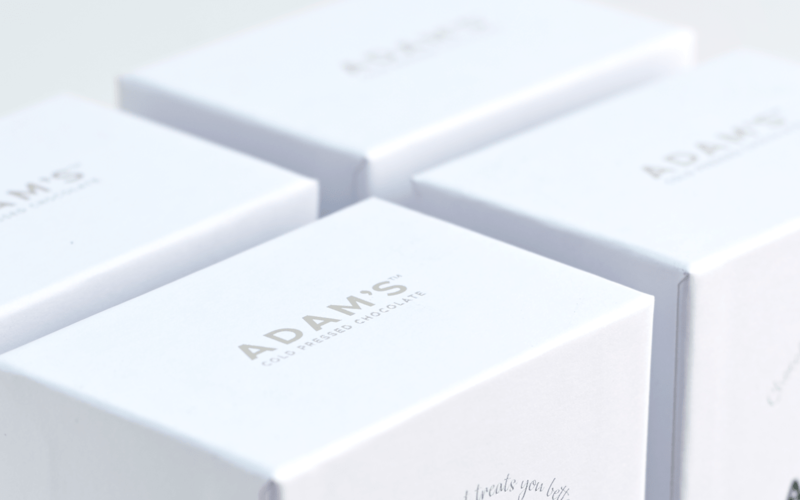 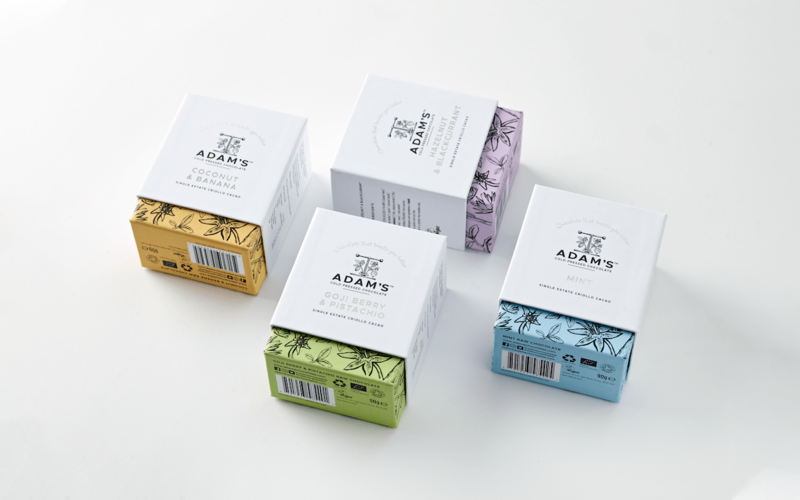 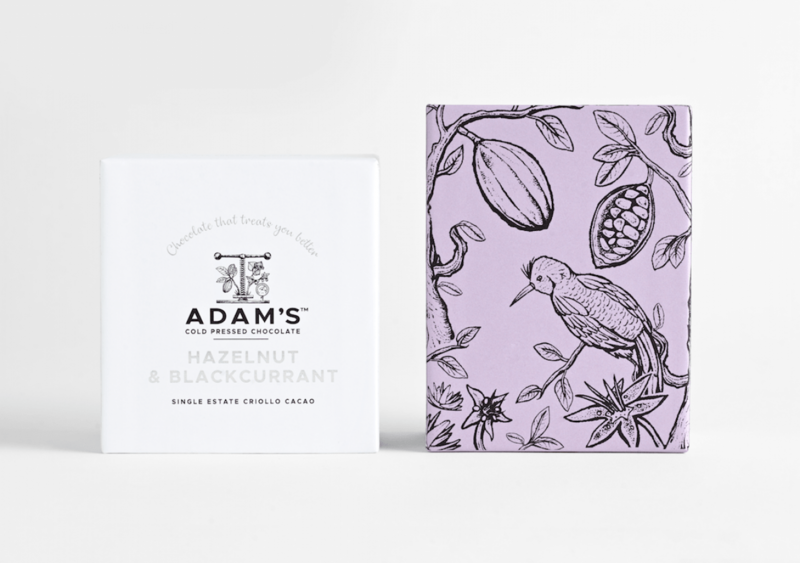 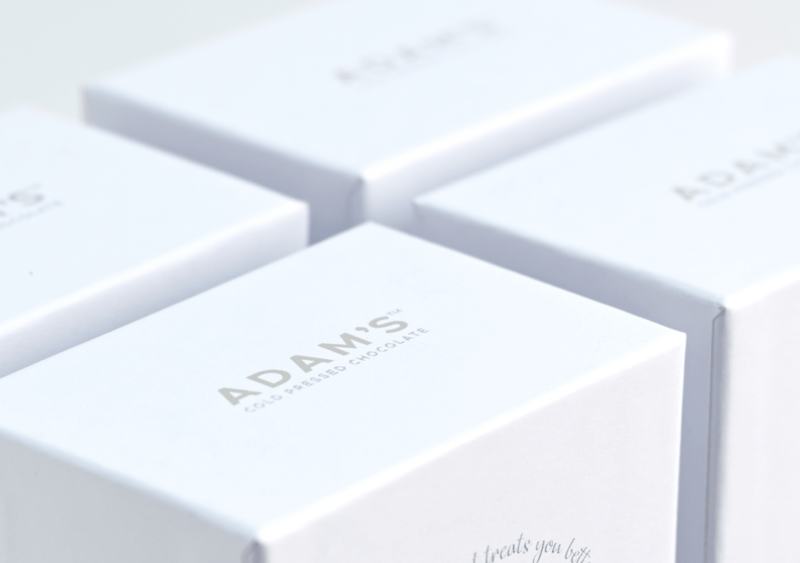 The bold style we created on the packaging was carried right through to the website, where we explored more unique ingredients and could share Adam and Mark’s brilliant story. 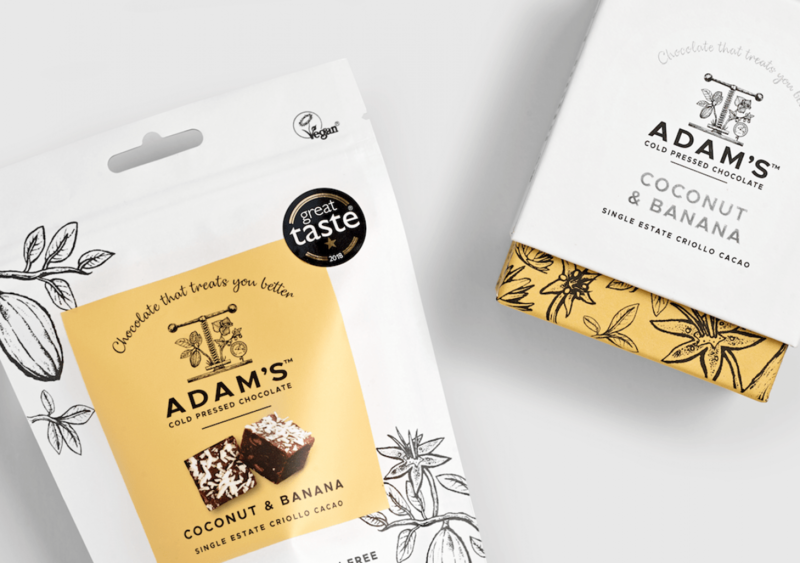 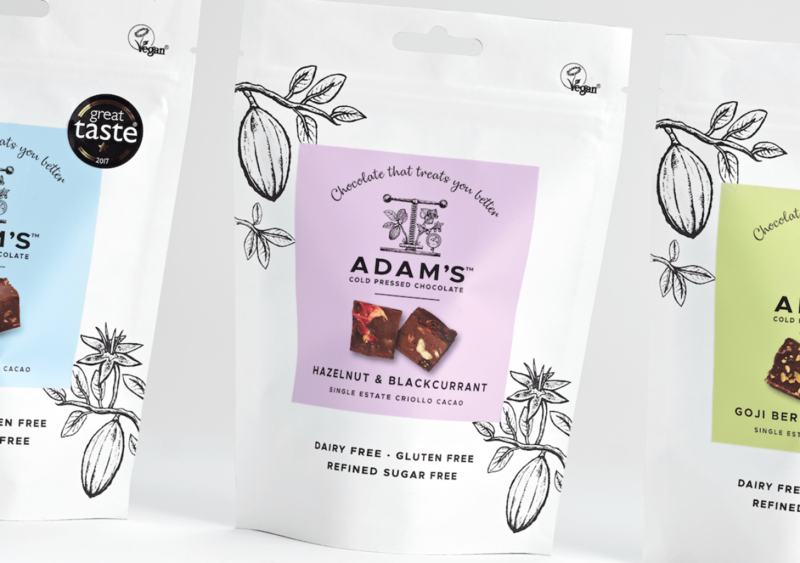 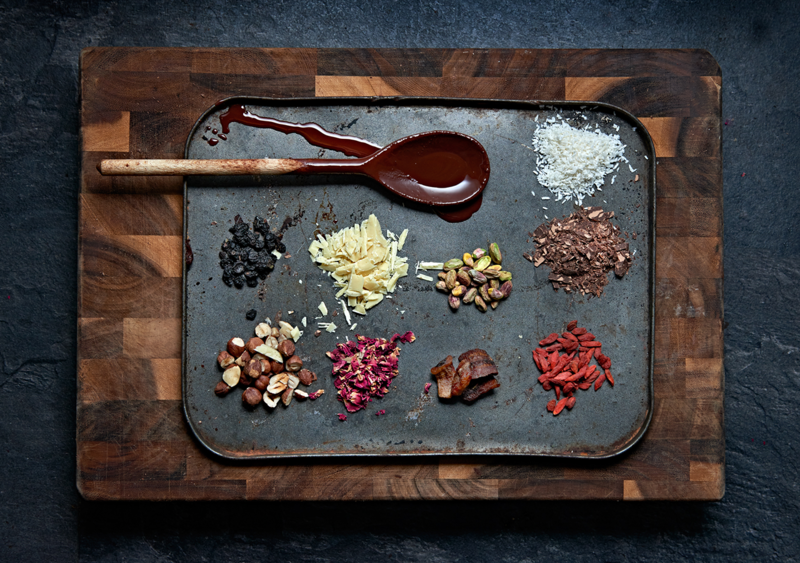 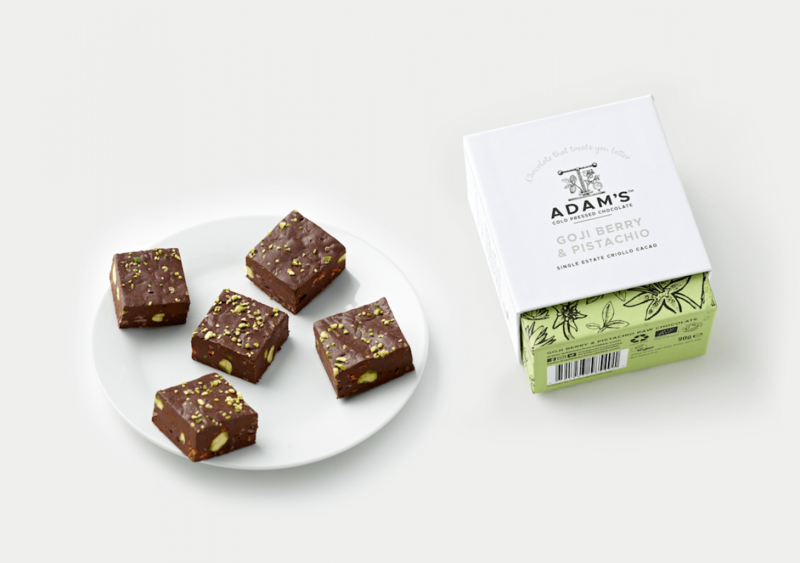 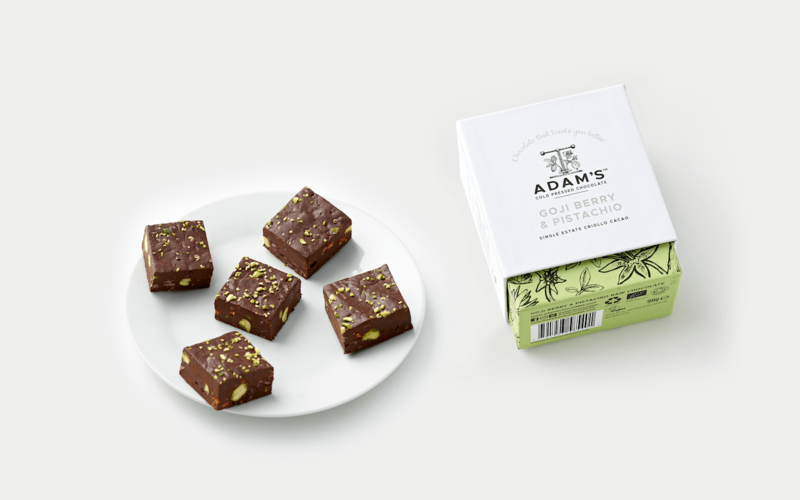 'People's diets can be massively improved by eating mineral rich raw foods like raw chocolate; we want to help people lead healthier lives.’ - Mark, Co-Founder Adam's Chocolate.